Memes - the origins of the term. 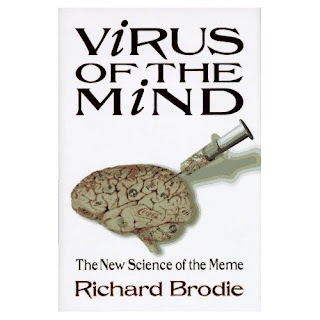 The term 'meme' was coined by Richard Dawkins in the 1970's to refer to 'mind-viruses' that take over people's minds to ensure their own spread. Pseudo-religious cults are typical examples of memes. Although Richard Dawkins coined the term, the idea of contagious mind-viruses goes back at least to the late nineteenth century, when Winston Churchill described Islam as being as dangerous in a man as rabies in a dog. Brainwashing-cults are self-perpetuating and self-referential belief systems that contain within themselves the instructions for their own propagation. Memes are often described as the cultural equivalents of computer viruses. A meme carries exactly the same fear-driven psychological motivation as a chain letter - "If you propagate me then something nice will happen, if not then something horrible will happen". In order to justify themselves against attack by reason, memes place absolute reliance on faith, which is seen as being superior to reason. They also contain self-referential or circular claims to the truth such as "This meme says it is the divine truth. Since it is the divine truth whatever its says must be true. 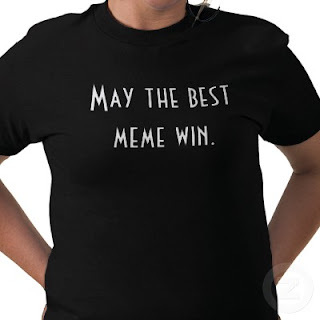 Therefore it must be divine truth because it says so and all competing memes must be the work of the Devil". These two types of self-referential statement "propagate me" and "I am the only truth" provide the driving force for memes to invade the minds of their hosts. In addition, many memes contain the instructions "Help people who believe in this meme, attack people who do not". These commands being the ultimate cause of all religious hatred, wars, pogroms and persecutions throughout the centuries. The general defining features of all memes can thus be seen to be self-referential 'closed-loop' type of circular statements, and a strong tendency towards hatred and intolerance. The science of the study of memes, their internal structures and modes of propagation is known as memetics (by analogy to genetics - how biological entities propagate themselves). - Overpower the resistance of its host. - Bring about the conditions for its spread. Boost the believers' egos by telling them they are 'chosen' or superior to believers in false memes. Incite permanent hostility to carriers of rival memes. Frankly I think you are rather rude. I agree with you, every form of religion is nothing more than a pathology from a psycologic oint of view. And there are many psicological reasons for creating a god (leave aside the obsolet cliche of father issues) and many psychiatric studies have revealed the "spiritual state"is nothing more than a comon chemical reaction in the brain that nothing has to do with spirits. Kind of reminds me of the pseudo-science of the Theory of Evolution. "The strata is this old because it contains these fossils. The fossils are this old because they are found in this strata." "If a bacteria has a notched gear wheel which powers its flagellum, there must be a natrual explanation, because The Theory of Evolution says so." I appreciate your blog and all that you are doing to get out the truth about Islam. Thank you. "To establish itself in the mind of its host it will use some or all of the following mechanisms:"
" Promise heaven for belief"
After we get rid of Muslims, the West will flourish again. Yay!
" Threaten eternal punishment in hell for disbelief." If we don't get rid of Muslims, the West will die and our descendants will be dhimmis in a sharia state! Oh no!
" Boost the believers' egos by telling them they are 'chosen' or superior to believers in false memes." Western Civilization is superior to Islam in every way! Hell yeah!
" Disable the faculties of disbelief ('immune response') by claiming that faith is superior to reason." Don't even think about listening to the Muslim side of the story! It's all taqiyya! Just trust the pro-West authors! Really!
" Establish itself as the One True Meme, usually by some sort of holy book containing a circular self-referential argument"
Western Civilization is superior because it values democracy. Democracy is valuable because it is a product of Western Civilization. The West will bomb any enemy of Israel! Don't forget Western countries have most of the nukes, you arrogant Muslims!
" Enforced social isolation or even death to apostates." You pro-Islam leftists are traitors to the West, and will be hanged after we rise up! Don't let the Muslims reproduce faster than us, damnit! Support Geert Wilders! He will ban the Qu'ran! I hope you remember that Christianity is equally 'meme'ic. It wouldn't have spread like a 'virus' had this not been true. I don't understand why people can't be a little polite and not cross their lines. Speaking out is one thing, but to make rude comments just because they are dramatic and funny undermines the chances of your being taken seriously by the smarter people who fall for logic rather than catch lines. I support neither Islam nor Christianity but it would be careless to believe that Christianity has far lesser faults than Islam. These religions were framed to suit certain situations which existed at certain times. They won't work when their time is over. And their time has been over for a long time now! If you're going to criticize religions in general, why not use Judaism as an example as well as Christianity and Islam?